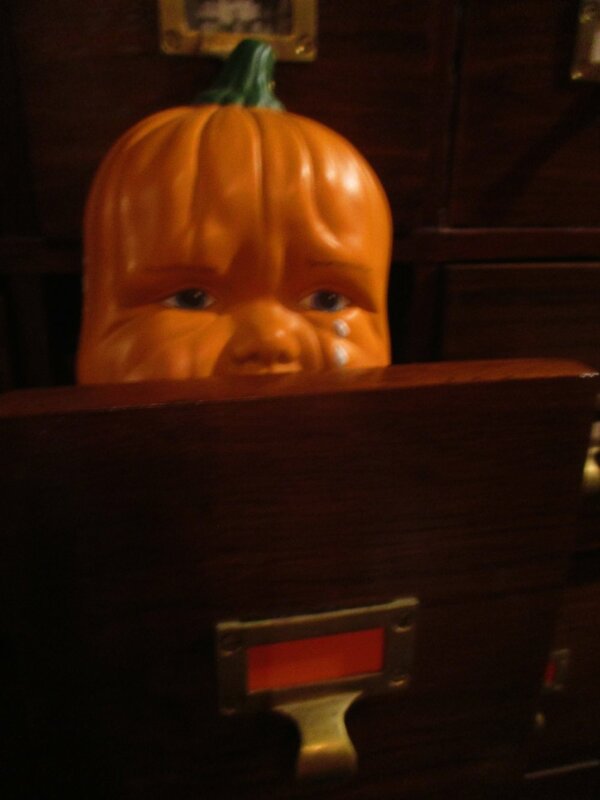 1) Of course Weeping Baby Pumpkin Head would be in the orange drawer. Where will Weeping Baby Pumpkin Head appear next? 2) Difficult not to be swamped with feelings of Unhappiness this morning with, among other things, the Eq****x scandal fallout, the national news, a fracas in a high school Fycebykke group I belong to (but I'm not involved in the fracas), and the resolution that I'm going to need to tell a volunteer some unvarnished truth about overanalysis. This is the face of 2a, mercifully presented with the Elizabeth Taylor filter. 2a) You might say I'm stuck in the area of creative tension between wanting to remain dignified and reasoned and true to Etiquetteer's Perfect Propriety, and the growing urge to tell people to f*** off because they're such ignorant, selfish, unreasoning @$$holes. I don't like this place. 2b) "F*** you" never solved any arguments. It just didn't. 3) There are several Scorpios in the office, and Tuesday after our team meeting there was a lovely cake for us, and cannolis, and birthday cards, and I could feel myself smile a mile wide.